Protects Against Psychic Attacks, Activates Throat and Base Charkas. 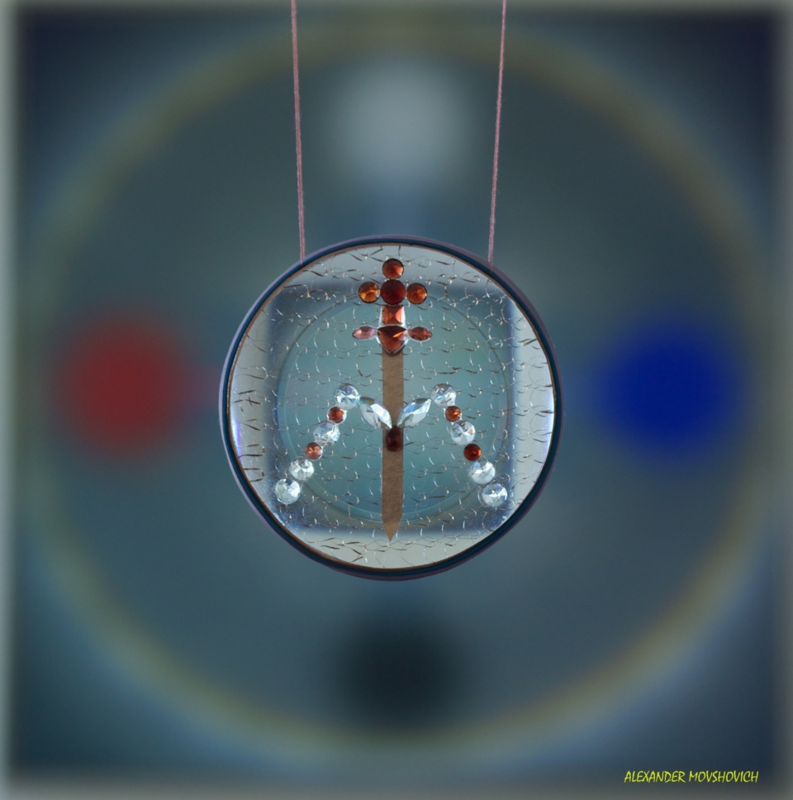 Arch Angel Michael’s Disc works on Throat Chakra and Base Chakra simultaneously. 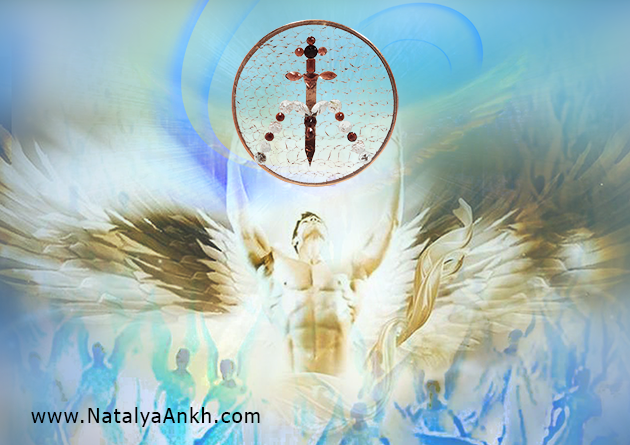 We all know that AA Michael is an angel of truth, courage, strength, protection. 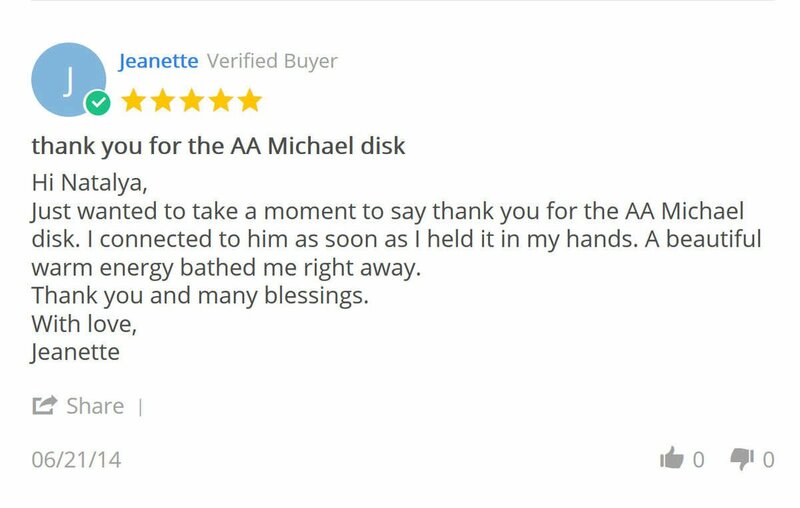 AA Michael is represented by the BLUE color which is what you see on this disc, represented by Blue Topaz. 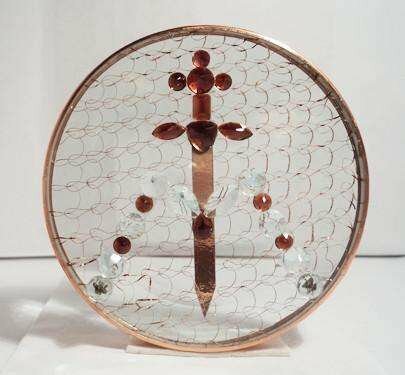 This disc also incorporates the energies of the Base Chakra represented by Red Garnet. The reason is to activate your Base Charka stabilizing you in order to allow you to speak your truth, be courageous and feel at peace with your surroundings. 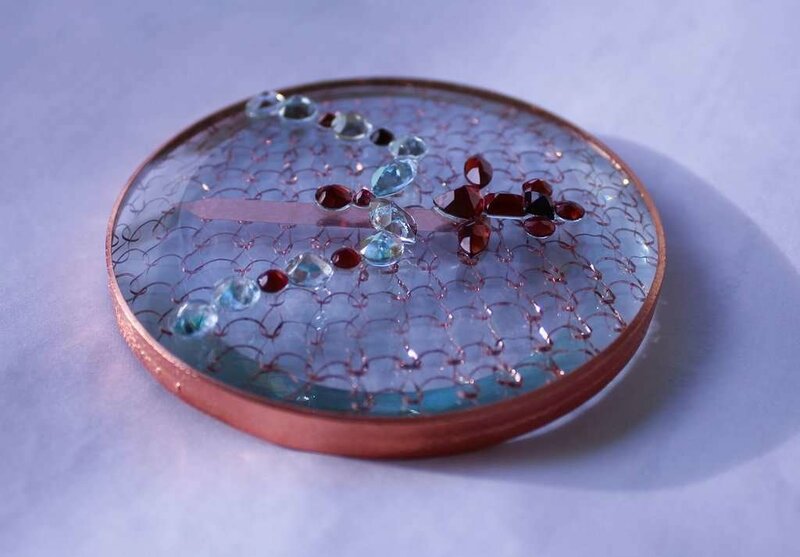 Archangel Michael Disc is made with Genuine Garnet and Blue Topaz Gemstones. It measures 3 inches in diameter. 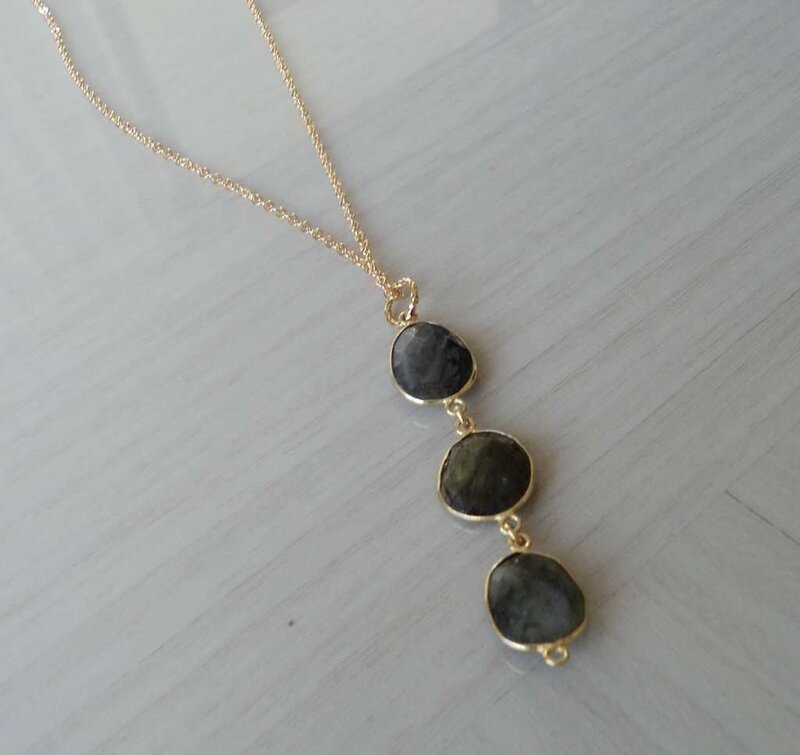 It is made of specialized quartz glass, cut to reflect the light in such a way as to amplify the power of the cosmic energies. 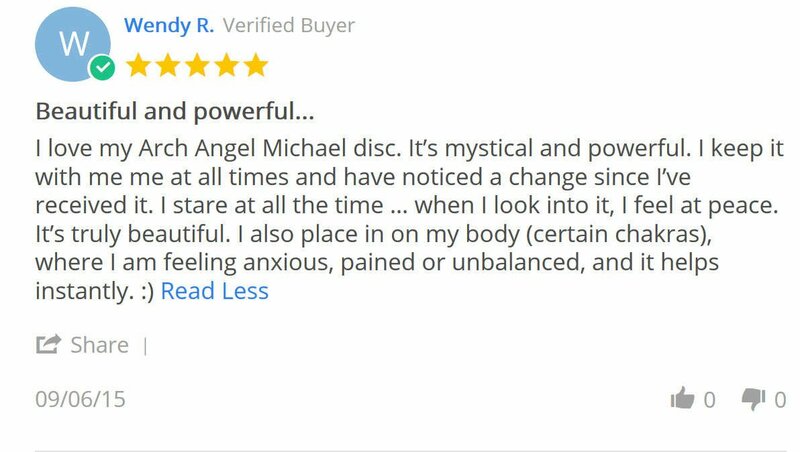 This is a HIGHLY powerful disc, which is great to use when you need extra protection that only AA Michael can offer. 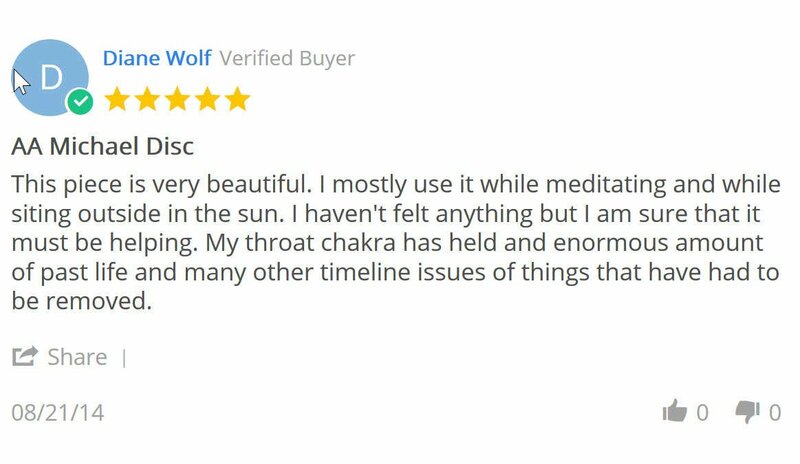 Once again it works primarily on your Throat Chakra, but offers you overall protection and strength to get through whatever obstacle stands in your way. A guide on how to use it and the meaning of all the ingredients will be included with your order. This disc is securely packaged and beautifully wrapped and comes with a special pouch for you to carry your disc in. Please note that you cannot wear this disc. You can carry it in your pocket, purse, hand, but it is not designed to be worn on your body. Archangel Michael. So much has been said about this incredible Archangel and his group of angels, that it seems that there really isn’t much more to add, and yet there is. The blue angel light ray represents power, protection, faith, courage, and strength. This ray is part of the metaphysical system of angel colors based on seven different light rays: blue, yellow, pink, white, green, red, and purple. Some people believe that the light waves for the seven angel colors vibrate at different electromagnetic energy frequencies in the universe, attracting the angels that have similar kinds of energy. Others believe that the colors are just fun ways of symbolizing the different types of missions that God sends angels on to help people. By thinking of angels who specialize in different types of work according to colors, people can focus their prayers according to what type of help they’re seeking from God and his angels. 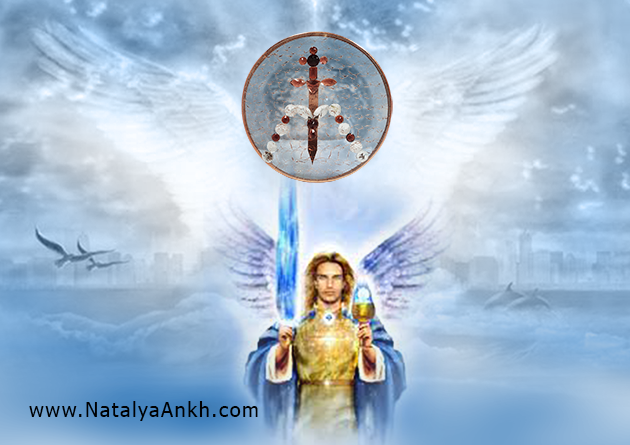 Archangel: Michael, the leader of all holy angels, is in charge of the blue angel light ray. Michael is known for his exceptional strength and courage. He’s a leader who fights for good to prevail over evil. He protects and defends people who love God. People sometimes ask for Michael's help to: gain the courage they need to overcome their fears, obtain strength to resist temptations to sin and instead do what's right, and stay safe in dangerous situations. Crystals: Some of the different crystal gemstones associated with the blue angel light ray are: aquamarine, light blue sapphire, light blue topaz, and turquoise. Some people believe that the energy in these crystals can help motivate people to seek adventure and take risks, let go of negative thoughts, inspire fresh and creative ways of thinking, and increase confidence. 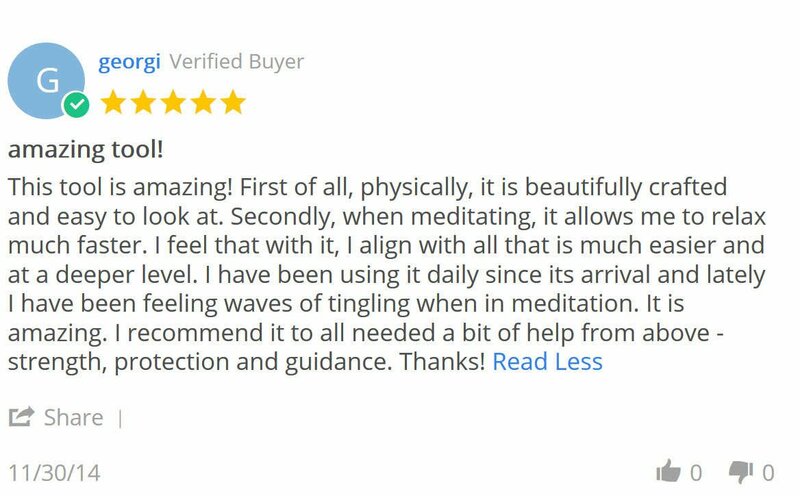 Chakra: The blue angel light ray corresponds to the throat chakra, which is located in the neck area of the human body. Some people say that the spiritual energy from angels that flows into the body through the throat chakra may help them physically (such as by helping to treat dental problems, thyroid conditions, sore throats, and laryngitis), mentally (such as by helping them make wise decisions or think more creatively, and spiritually (such as by helping them gain more faith, tell the truth, and choose God’s will over their own). Day:The blue angel light ray radiates most powerfully on Sunday, some people believe, so they consider Sunday to be the best day to pray especially about situations that the blue ray encompasses. Life Situations in the Blue Ray: The blue angel light ray encompasses a variety of situations that relate to discovering God’s will for your life and finding the courage to act on it. When praying in the blue ray, you can ask God to send archangel Michael and the angels who work with him to make God’s purposes for your life clear to you, help you more clearly see God’s will for specific situations you’re facing, and inspire you to follow where God is leading you. You can also pray in the blue ray for the protection you need from evil that may try to interfere with you discovering and fulfilling God’s purposes for your life, and for the faith and courage you need to take action whenever God calls you to say or do something. God may send power to you through blue ray angels to give you the strength you need to deal successfully with stressful challenges in your life, to stand up for your convictions, to fight injustice and work for justice, or to take the risks necessary to start a new adventure God has planned for you. Praying in the blue ray may also help you develop leadership qualities (such as integrity, creativity, compassion, decisiveness, listening skills, speaking skills, and the abilities to build teams, take risks, solve problems, and inspire others) that will help you serve God and other people more effectively. If negative thoughts are burdening you, you can also pray for blue ray angels to help you let go of those negative thoughts and replace them with positive thoughts that reflect the truth about God, yourself, and other people.